From left to right: Ward 6 Councillor Natalie Harris, Ward 7 Councillor Gary Harvey, Ward 8 Councillor Jim Harris, Ward 9 Councillor Sergio Morales, Ward 10 Councillor Mike McCann, Mayor Jeff Lehman, Ward 1 Councillor Clare Riepma, Ward 2 Councillor Keenan Aylwin, Ward 3 Councillor Doug Shipley, Deputy Mayor and Ward 4 Councillor Barry Ward, Ward 5 Councillor Robert Thomson. 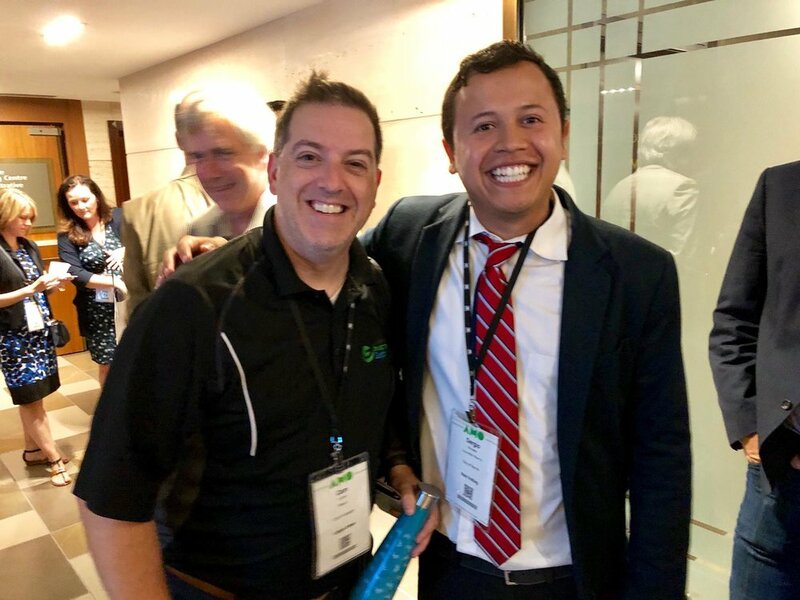 Barrie Ward 9 Councillor Sergio Morales, first elected in 2014, acclaimed in 2018. Raised in Barrie’s north-east Ward 1 and now representing Ward 9 in Barrie's growing south-east, Sergio understands the importance of preserving Barrie’s small city feel appeal while also growing to become a dynamic, vibrant destination. A graduate of St. Joseph's Catholic High School in Barrie, Sergio attended the University of Saskatchewan to study a Bachelor of Commerce, before transferring to the University of Guelph to complete his degree. He graduated with a Bachelor of Commerce (B.Comm. ), majoring in Real Estate and Housing and a concentration in Economics. 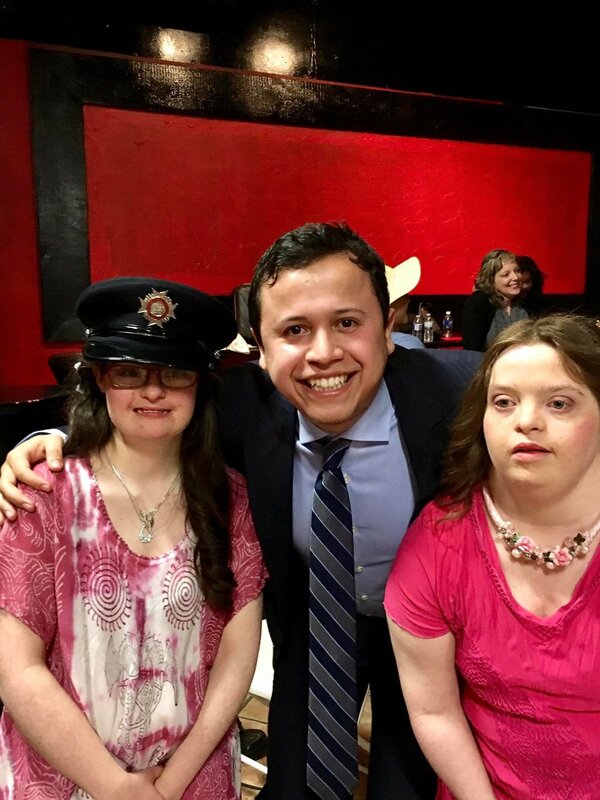 Sergio began his political involvement in his university years by writing op-ed columns for the Barrie Examiner, serving as an intern to former Barrie Member of Provincial Parliament Rod Jackson, and working as a Constituency Assistant to former Barrie Member of Parliament Patrick Brown. In the 2014 municipal election, he was elected to Barrie City Council with 51.63% of the vote in a field of 3 candidates, being the only candidate in the Barrie election to defeat an incumbent, and becoming the youngest city councillor in Barrie's history elected with a plurality of the vote, at 21 years of age. 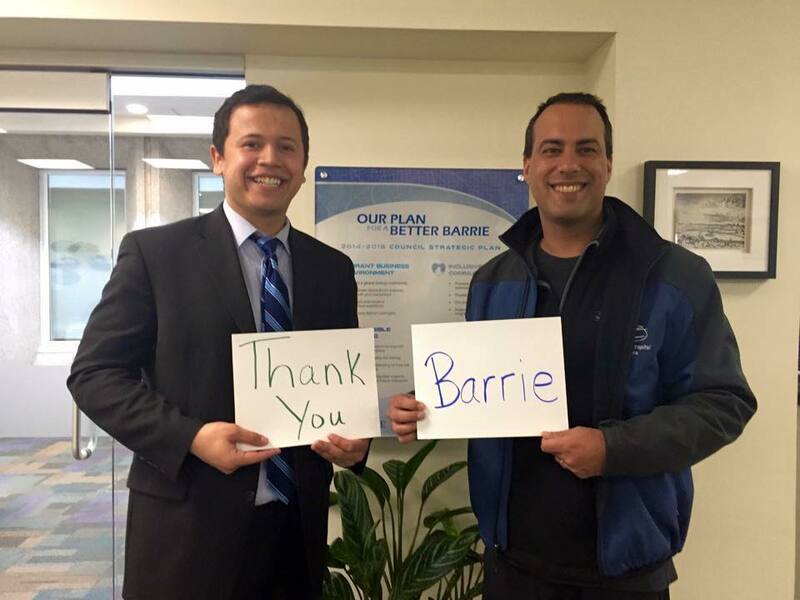 In the 2018 municipal election, Sergio was the only councillor candidate to be acclaimed to the 2018-2022 Barrie City Council, becoming just the third councillor candidate acclaimed to Barrie City Council in 21 years, and the youngest acclaimed councillor in Barrie’s history at 25 years of age. Beyond politics, Sergio has been a proven advocate of a strong education system by serving as the public member of the City of Barrie's NorthShore Trail Working Group, the Catholic Vice-President of the Ontario Students' Trustee Association, & the Student Trustee of the Simcoe Muskoka Catholic District School Board, where he sat on the Policy Committee and was awarded the Inclusion Excellence Award for his advocacy work on the Special Education Advisory Committee (SEAC). Councillor Sergio Morales filling in as Acting Mayor in April 2017. In his spare time, Sergio can be found going on road-trips in his Mustang GT, catching up on the latest movie, and cheering on the Toronto Blue Jays, who haven't won a world series since the year he was born.